Whether you are planning to have a party at your house or you have guests coming to stay, we can help you take the stress out of the holidays. With painstakingly selecting the right gifts for everyone on your list, putting together the ultimate holiday menu and preparing your home for guests, the holidays can be a stressful time. Life is busy enough as it is, but during the holidays, your schedule can seem downright impossible. 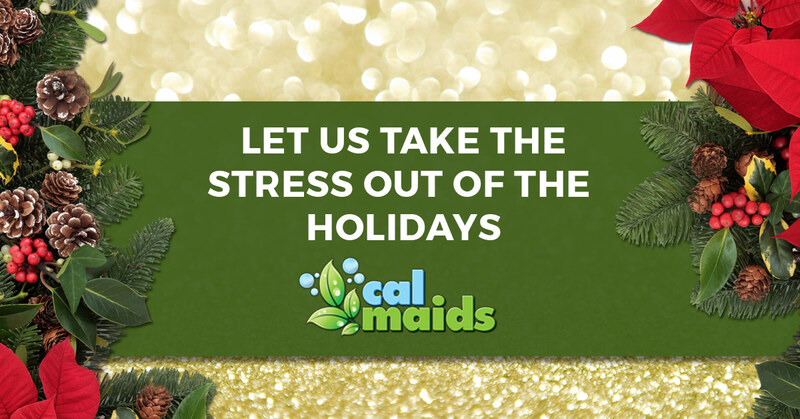 Let our residential cleaning services in Los Gatos take a big item off of your to-do list and take the stress out of the holidays. On top of everything else that you have going on, do you really have time to clean your house and get it ready for guests? Regardless of whether you plan on having your friends over for a holiday celebration or you are hosting out-of-town guests, it takes time to prepare your home, and chances are, time is in short supply on your schedule. Luckily, you have CalMaids on your side, and we will ensure that your home is ready for any and all guests long before they arrive. With our Deluxe Cleaning Package, you’ll enjoy a top-to-bottom clean of your entire house. The holidays can certainly be stressful, but when you have CalMaids on your side, you can check one big item off of your ever-growing to-do list. While we may not be able to shop or sit down and make a menu for you, we can help you enjoy a clean, guest-ready home! Contact us today to get started.